Your wedding day is one of the most important days of your life. O'Sheas Catering and Events understands the importance of your big day. We embrace your vision to plan the perfect wedding with our professional and affordable wedding catering. We will match your wedding day style with equally beautiful, fresh and mouth watering meals. Get free estimate today! We specialize in wedding catering in the South Puget Sound region which includes Seattle, Tacoma, Olympia, King County, Pierce County and the surrounding areas. Our event coordinator plans weddings at various venues from private residences to outdoor locations. We work with the best teams to make your dream wedding a reality. As one of the most recommended wedding caterers in Tacoma and Seattle, we strive for perfection. Our executive chef Terah McDonald will create fresh and contemporary meals that will wow every guest’s taste buds. Along with creating a successful menu, our events coordinator creates a beautiful atmosphere to keep your party on track. You can consult with our executive chef to create a custom menu. This way you can serve the best wedding catering from an array of exquisite dishes. In addition to our affordable wedding catering we also provide various rentals like tables, chairs, linens, china and glassware weddings. When you choose O'Sheas Catering and Events as your wedding planner and caterer you can rest assured with quality food, elegant presentation and smooth execution. Looking for affordable wedding catering? You can call us at (253) 475-1669 or request your free estimate Today! 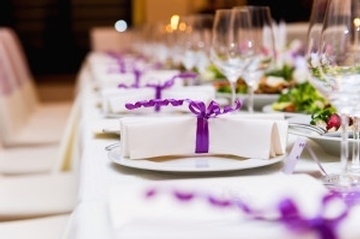 Choose O'Sheas Catering and Events as your wedding planner and caterer across Tacoma, Seattle, Bellevue, Renton, Kent, Redmond and the surrounding areas.